I've now spent a few weeks with Apple Watch, and while there's a lot to talk about, one feature in particular has "surprised and delighted" me, and it's not the one I was expecting. I exercise regularly, but I wasn't expecting Apple Watch to help me much with respect to my routine. That's not because I didn't think it would be accurate or easy to use, but simply because Apple Watch wasn't made for me: I'm a swimmer. Granted, it's been shown that Apple Watch can withstand a good swim, but it's still not designed to track swimming (I use my Pebble with the swim.com app for that), and Apple specifically discourages it. So rather than lament Apple Watch's neglect of swimmers the world over, I went for a walk. A few of them, actually (dog needs exercise, too). And what I saw surprised me. 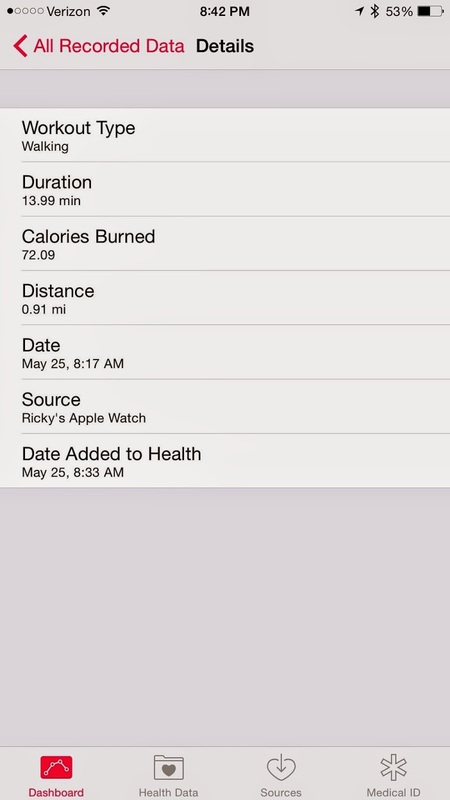 Check out the following two workouts that Apple Watch saved to the Health app. Notice anything interesting? I did a double-take when I saw these results, but then it dawned on me what was going on, and it's super cool. 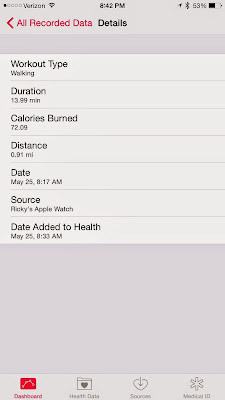 If you noticed, the first workout was a 0.93 mile walk that lasted 17 minutes, during which I burned 66 calories. The second workout was only 0.91 miles, lasted only 14 minutes, yet I burned 72 calories! So how could a shorter walk (both in distance and duration) lead to more calories burned? While you mull that over, take a few minutes to head over to ABC News to view a 5-minute video about Apple's secret fitness lab. I'll wait. Wasn't that cool? Apple is amassing what is probably the world's largest and most complete set of physiologic data during exercise (over 18,000 hours and counting), all while volunteers wear Apple Watch. This testing takes multiple factors into account, including activity level (accelerometer), heart rate, temperature, and probably also factors in height and weight when available, although I don't have access to their algorithms to know for sure. The volunteers in the fitness lab also wear specialized (and very expensive) gear designed to accurately measure caloric expenditure. These data can then be used to create accurate data models to fit almost every profile, leading to an extremely accurate estimate of calories burned. In other words, Apple is validating the watch to be the most accurate consumer-oriented calorie-counting machine ever created. Of course, this explains the "discrepancy" in my workout numbers. In the second workout, I had to walk much quicker in order to cover 0.91 miles three minutes faster than the 0.93 miles I walked the day before. Apple Watch knew I was working harder because it was tracking my heart rate every 5 seconds for the duration of the workout, and my heart rate reflected the increased activity. Lesson: to burn calories, nothing can replace good old-fashioned, heart-pumpin' aerobic exercise! Want to know the coolest part? Measuring heart rate is just the beginning! As I've mentioned before, now that we have a computer in constant contact with our skin, the market for transcutaneous sensors is going to explode, and the more data we collect, the more accurate these measurements will be. Just hurry it up with the swim tracking, ok, Apple?